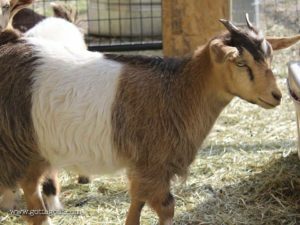 We don’t currently have any goats for sale, but our new kids will be arriving in April 2019 (visit our Breeding Schedule to see more about what kids are expected this spring). The table below is for our 2018 kids, who have all been sold. Please visit our Sales Policy for more information, and don’t hesitate to contact us if you are interested in purchasing or reserving one of our kids. Thanks so much! 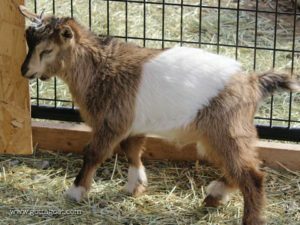 Buckling March 22, 2018 Nigerian Dwarf Polled. 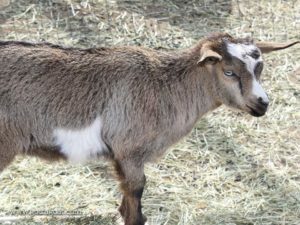 Blue eyes and wattles. SOLD - to Denine! 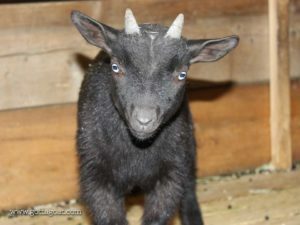 Buckling March 22, 2018 Nigerian Dwarf Blue eyes. SOLD - to Tanis! 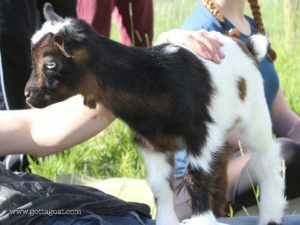 Doeling March 25, 2018 Miniature Silky Fainting Goat Brown eyes. Registered with MSFGA and MGR. SOLD - to Wendy! 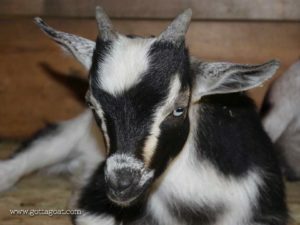 Buckling April 15, 2018 Nigerian Dwarf Blue eyes. SOLD - to Janine! 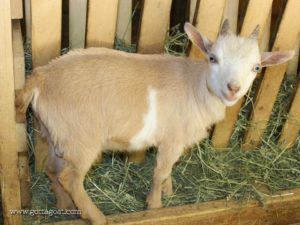 Buckling April 25, 2018 Nigerian Dwarf Blue eyes and wattles. Retained. Leeloo's boys will live here with us as much loved pets! 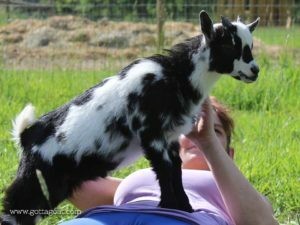 Buckling May 10, 2018 Miniature Silky Fainting Goat Brown eyes. Registered with MSFGA and MGR. SOLD - to Shawn! 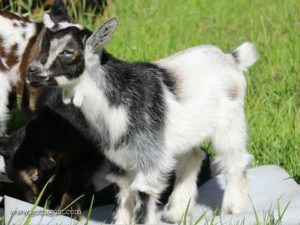 Doeling May 10, 2018 Miniature Silky Fainting Goat Blue eyes. Registered with MSFGA and MGR. SOLD - to Wendy! 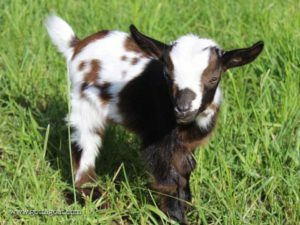 Doeling May 10, 2018 Miniature Silky Fainting Goat Brown eyes. Registered with MSFGA and MGR. Retained. 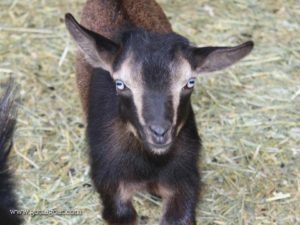 Doeling June 1, 2018 Nigerian Dwarf Polled, blue eyes and wattles. Retained. 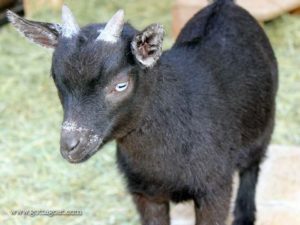 Doeling June 1, 2018 Nigerian Dwarf Polled, brown eyes. SOLD - to Margaret! 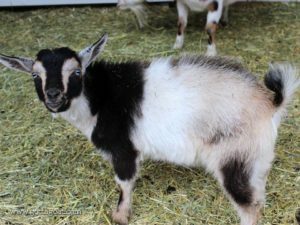 Doeling June 7, 2018 Nigerian Dwarf Brown eyes and wattles. SOLD - to Margaret! 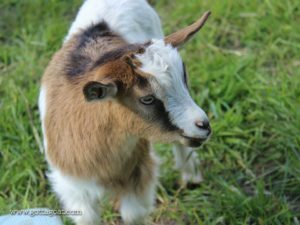 Buckling June 7, 2018 Nigerian Dwarf Brown eyes and wattles. SOLD - to Tanis! 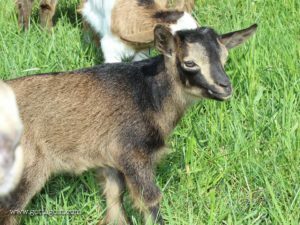 Buckling June 7, 2018 Nigerian Dwarf Polled, blue eyes and wattles. SOLD - to Denine!